Can we decipher the words that people speak? Are subliminal messages revealed if we analyze language or read between the lines? Can additional information be gained from the way people tell a story or the words they choose? Can we separate the guilty from the innocent? I originally set out to strictly look at the 911 calls from the Anne Dunlap case, but I only found transcription from one 911 call. Rather than base everything on the one 911 call, I decided to evaluate any direct quotes from Anne Dunlap’s husband, who I will refer to as, “B” going forward. Did he unconsciously reveal any extraneous information to the police or the public? The primary source of human behavior is the unconscious mind (Freud, 1915). Freud’s revelations divided the mind into three levels: conscious, preconscious, and unconscious. People are completely aware of what is going on in the conscious mind. 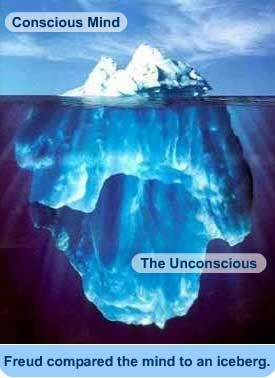 The preconscious mind is somewhat of a gatekeeper between the conscious and unconscious mind. Lastly, the unconscious mind is completely unaware of the information stored there. In my novice interpretation, I assumed nothing. Opinions expressed are solely my own. I may go deep and get nit-picky, but I based my opinion on B‘s words only. In my opinion, innocence or guilt was not absolutely or obviously revealed by B‘s words. Sometimes, what we don’t say is at least as important as what we share. However, pieced together, the truth may come to light. The first of four 911 calls, came from B at approximately 9:00 p.m. on December 30, 1995, the day Anne went missing. “911? Hi, I was hoping you could tell me the procedure of who I might call. and I was expecting her back a long time ago. Who was the call about..? The majority of 911 calls are emergencies for the caller or another person with the caller. Either way, the topic of the call remains on the victim. Examples; “I’ve been shot! Help me!” or, “My son can’t breathe! He needs an ambulance!” In the 911 call above, B mentions, “his wife” once. In fact, he doesn’t mention her name at all. B only refers to her as, “my wife.” With that said, he refers to himself (“I”) four times. B is who the call was about. His call is focused on help for himself, not help for Anne (at this point anyway). How was the call made..? 911 is an emergency line. ~Merriam-Webster defines emergency as; 1. an unforeseen combination of circumstances or the resulting state that calls for immediate action. 2. an urgent need for assistance or relief.~ An emergent situation should be treated as such. If B called 911, he must have thought Anne was in serious danger. However, does B‘s emotional tone fit the seriousness of a call to 911? In the 911 call above, B‘s language, while extremely polite and respectful, does not have a sense of urgency. Politely and patiently reporting a crime and the events of the day is incongruent to behavior of a dire situation. Order is also important in an emergent call, but I feel that B‘s statements are out of order. First, he asked the 911 operator to help him with the procedure. Second, he told the operator about his “wife” going shopping 7 hours ago. Third, B hadn’t heard from her. Fourth, B expected her home a long time ago. The most important thing in this call is that Anne Dunlap is missing! That should have been the first thing he told the 911 operator. “It’s strange because the keys are in it. We are grasping at straws at this point. First and foremost, what I found curious about these statements is that, again B makes no mention of Anne’s name. A bloodhound is circling Anne’s car. Anne has been missing for 2 days. He alerted Anne’s parents to return home from their cabin when Anne was only 2 ½ hours late. He has called all of the local hospitals (per his account) looking for Anne. He made 4 calls to 911 for assistance in Anne’s disappearance. He rallied many of Anne’s friends and family to search for her. He still doesn’t mention Anne’s name. Why is it strange because the keys are in the car? First, I think most people were most concerned that the car was found, but Anne was not. I doubt whether or not the keys were in the car mattered. Second, others found it strange that her car would be in a Kmart parking lot, at all. I guess B didn’t think that part was strange. Where is Anne? It is strange that the keys are in the car, but then, “doesn’t know what that means.” Why is it strange then? B seems to be pulling back from his revelation about the keys being in the car. Where is Anne? B is just real hopeful they find something in the car. I would think anyone in this situation would be freaking out if their spouse was missing for 2 days and only her car was found. B seems to think this is a good thing and is hoping for even more good news of finding something in the car. Where is Anne? B is hoping for fingerprints or a clue… Why doesn’t he hope that they can find Anne! Her car was just found. They could be close to finding her. Where is Anne? The idiom, ‘grasping for straws’ means a desperate attempt to save oneself. Where is Anne? Why is there only hope and prayer left? It sounds like B is giving up. Why? Does he know more than we do at this point? B speaking to media again while still in front of Anne’s car and the circling bloodhound (CBS, Murphy, 2013). We are as happily married as people could be. We are in the process of building a home right now in Medina. In the above excerpt, I assume that a member of the media asked B if he and Anne had any marital problems. As far as Anne’s friends and family and their mutual friends, this all seemed to be true for her. I don’t know if B had his own friends aside from their mutual friends. I also don’t remember B’s family weighing in. A previous business partner, JB stated that B didn’t feel Anne gave him enough space, and that the couple had been in counseling for years. It seems odd to make these extraneous comments in this setting. In addition, I’d think verbalizing these wonderful words and plans for the future with his wife who is still missing would cause him to break-down. It didn’t. Later in 1996, B told KSTP about a search warrant for the Minneapolis home where the couple was living at the time Anne was murdered. “The police went through it very thoroughly. Props to the police department. They went through the house very thoroughly. They just wanted to, “shake you down?” Really? Collins English Dictionary’s definition; “If someone shakes you down, they use threats or search you physically in order to obtain something from you.” I guess the police were shaking you down. However, that is their job. His words are cold and insensitive. The police are doing their job by investigating Anne’s murder, not her death. She didn’t just die. As her husband, he should have been the first in line to unconditionally fight for her! Anne suffered a horrific death. She deserves to be fought for! Why wasn’t he selfless and do whatever possible to get justice for his wife? Why didn’t he work with the police and share as much as possible about Anne and her life? Even if it meant being under the microscope to be cleared! How can her murder be solved if Anne and B’s mutual friends also choose not to speak to police? How could any murder be solved if police were unable to learn about the victim? In any murder investigation, police start with people closest to the victim and work outwards. How can Anne’s murder be solved if police cannot rule out her husband? ~Where does your loyalty lie? ~Too much time has passed to ignore anymore. I’m working on the transcripts, but audio is not public. Subd. 4. Audio recording of 911 call. The audio recording of a call placed to a 911 system for the purpose of requesting service from a law enforcement, fire, or medical agency is private data on individuals with respect to the individual making the call, except that a written transcript of the audio recording is public, unless it reveals the identity of an individual otherwise protected under subdivision 17. A transcript shall be prepared upon request. The person requesting the transcript shall pay the actual cost of transcribing the call, in addition to any other applicable costs provided under section 13.03, subdivision 3. The audio recording may be disseminated to law enforcement agencies for investigative purposes. The audio recording may be used for public safety and emergency medical services training purposes. Thanks for your work, Tricia. I think it’s premature to do this analysis until you have all four calls. Unfortunately the calls are only kept 5-7 years so they no longer have calls from 1995/1996. I remember hearing the calls way back when. I just don’t have the exact words. I am checking into seeing if the transcribed calls might be saved somewhere. Wcco tv ordered transcripts of all of them in 2013 and broadcast a story based on one of them and saved the others for future stories. It does not seem like you have given any consideration to Brad’s statements in the context that he could be innocent. You conclude that Brad’s first call to 911 lacked a sense of urgency and that his first statement should have been “Anne Dunlap is missing!” But it was only 9:00 p.m. and at that point she was only 4.5 hours overdue. This was in 1995, before most people were using cell phones. It sounds like this was uncharacteristic for her but even so, would the average person urgently call 911 at this point and declare that someone was missing? His lack of urgency could easily be interpreted another way – that he is a guy who is growing concerned and trying not to overreact. Also, you question if his emotional tone fits the seriousness of a call to 911. How could anyone answer that without hearing the audio recording? Maybe his voice was shaking. Maybe he sounded like he was crying. We don’t know. Do you? Have you ruled out the possibility that he did not do it? Yes, I heard the first 911 call many years ago. He inquired in a calm and polite tone. I also watched video of him as he recalled how Anne, “never showed up.” Additionally, I also watched a video of him (following a search of the Barber home), when he explained to media that the police were trying to shake him down and get him to say that he had something to do with Anne’s death. My point about the 911 call is that 911 is an emergency line. It is not an advice line. If there is a dire situation that requires a call to 911, then it should be treated as such. In other words, if it was not an emergency (since it was only 9:00) then he shouldn’t have called 911. It’s either an emergency or it isn’t. As for ruling him out… How does anyone rule out the possibility of a person NOT committing a crime? A person can only be ruled out for committing a crime. There is a ton of information that the public does not know; That I do not know. I am merely fighting for someone who can’t fight for herself and putting words to thoughts much of the public has had for 22 years. Do I think B did everything possible to help solve Anne’s murder? Do I think B made this case all about himself and how HE was the victim? Make no mistake, this website is to get Justice for Anne Dunlap. Enough time has been spent focused, protecting, and defending “B” for the last 22 years..
Do I think he was selfish by leaving the state and moving on because he was under the microscope (like any spouse would be)? Do I think he is the reason Anne’s murder was not solved? If B had cooperated with the police and truly had nothing to do with her murder, he could have been ruled out. Unfortunately, he was more concerned about himself and the police, “shaking him down” than getting justice for his wife. *In the US, everyone is presumed innocent until proven guilty in the Court of Law. *It is NOT too late for B to come back, clear the air, be transparent, and make things right! *Anne deserves justice and I believe B stands in the way of that. I’m confused. Do you even have the transcript of the first 911 call? Or do you only know the first three sentences of the call? Sourced from the 2013 WCCO article?